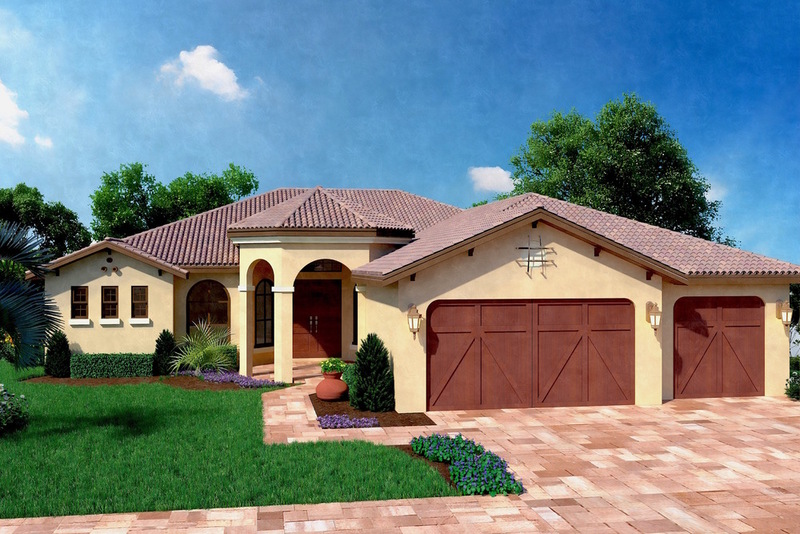 The Bougainvillea is a dramatic and spacious great room plan with four bedrooms, three bathrooms, den/study, bonus room and three car garage, all on one level. This 3,317 square foot home features a gourmet kitchen with large island, custom hardwood cabinetry, granite counter tops and high-end stainless steel appliances. A luxurious owners' suite awaits, with separate his and her walk-in closets, expansive bedroom and bathroom, including split his and her vanities, walk-in shower with dual shower heads and the finest tile flooring, custom cabinetry and granite counter tops. Wide 16' sliding glass doors, large lanai and generous outdoor living areas bring the outdoors in. Special touches such as tray ceilings with crown molding, a wide variety of porcelain and ceramic tiles, vinyl windows (impact on front of home), 8' interior doors/windows, concrete tile roofs, lush landscaping and more are included with your home. Numerous structural, finish and material, pools/spas and custom options are available to suit your lifestyle needs and tastes.